Vintage King Nashville, Nashville, Tennessee. 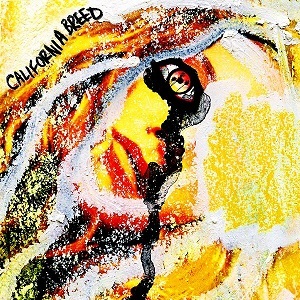 California Breed is the debut eponymous studio album by English-American rock band California Breed. The album was released on 19 May 2014, and available in a variety of formats including compact disc, and digital download. A deluxe CD/DVD edition includes a bonus track of 'Solo', and a documentary with two video clips; 'The Way' and 'Sweet Tea'. The album has been received with positive reviews by music critics. ¶ Available as a bonus track. ↑ Ward, George (8 April 2014). California Breed: California Breed Review. Blues Rock Review. Retrieved on 28 April 2014. ↑ Feenstra, Pete (17 April 2014). California Breed – California Breed. Get Ready to Rock!. Retrieved on 28 April 2014. ↑ Brandt, Mark (24 April 2014). California Breed – California Breed. ThisIsNotAScene. Retrieved on 28 April 2014. ↑ Kee, Chris (May 2014). "California Breed – "California Breed"". Powerplay (164). ISSN 1474-287X. Retrieved on 28 April 2014. ↑ Buxton, Carl (May 2014). "California Breed – 'California Breed'". Fireworks (63): 52. Retrieved on 28 April 2014. ↑ Bell, Max (June 2014). "The Hard Stuff: Albums – California Breed". Classic Rock (197): 86. ISSN 1464-7834. Retrieved on 28 April 2014. ↑ Blake, Mark (June 2014). "California Breed – California Breed". Q (335). ISSN 0955-4955. Retrieved on 28 April 2014. ↑ Lane, Daniel (21 May 2014). Coldplay's Ghost Stories smashes through 100,000 sales in 48 hours. The Official UK Charts Company. Retrieved on 23 May 2015. ↑ 2014 Top 40 Rock & Metal Albums Archive. The Official UK Charts Company (31 May 2014). Retrieved on 26 May 2015. ↑ Dutch Charts. hitparade.ch (24 May 2014). Retrieved on 26 May 2015. This page was last modified 05:45, 26 May 2014.